At the 2018 IPI Conference and Expo, where more than 3,500 parking professionals from 30 countries gather to discuss industry trends and challenges, GBCI recognized eight parking structures for achieving Parksmart certification. 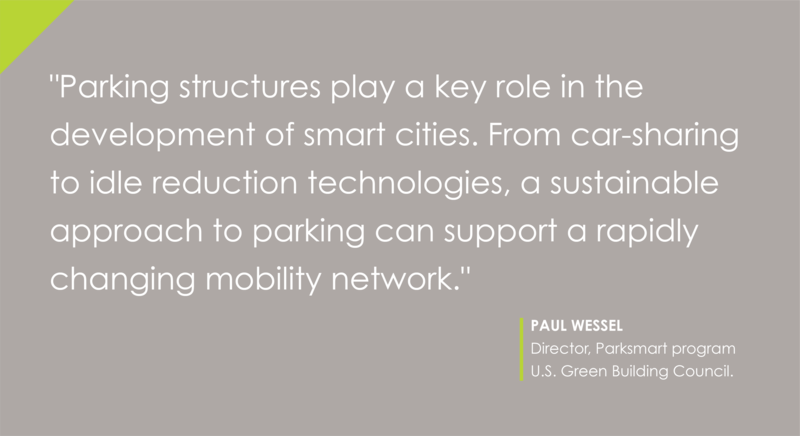 Parksmart is the world’s only rating system designed to advance sustainable mobility through smarter parking structure design and operation, and Parksmart-certified projects currently represent more than 25,000 parking spaces. The rating system can also be used to support projects pursuing LEED certification. In 2018, USGBC’s LEED Steering Committee added select Parksmart measures to the LEED innovation catalog. A parking structure is often the first and last experience a building visitor has with a LEED project. Parksmart strategies enhance this experience by reducing environmental impact and operating costs and offering greater mobility choices.